Our federal government has promised to fix the affordable housing crisis with the recently announced National Housing Strategy. They announced billions of dollars of investments, which will require cost-matching by the provinces and territories. What will the Ontario government do to make sure we don’t lose these funds? 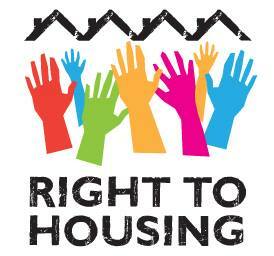 The federal government also promised to recognize that housing is a human right. But what does that mean? How can we hold our government accountable to their promise? Join us for a discussion on what is needed to fix Ontario’s affordable housing crisis and what a rights-based approach to housing should look like. This is a free event. Everyone is welcome! Wheelchair accessible. ASL interpretation provided. Scent-free zone. Share and invite your friends on our Facebook event page. Tell Canada’s Prime Minister to make affordable housing a human right! The Canadian government has promised to fix the affordable housing crisis with Canada’s first ever National Housing Strategy. From June to October 2016, the Federal government asked Canadians to share their thought on the future of housing in Canada. They summarized their findings in What We Heard: Shaping Canada’s National Housing Strategy. The federal government promised to invest new funds in the next 11 years through the National Housing Strategy, to tackle the affordable housing crisis. This fall, they will unveil the National Housing Strategy. We believe that access to safe, adequate and affordable housing is a basic human right. And we want to make sure that our National Housing Strategy will guarantee everyone the fundamental right to housing. Take action now! Click here to tell PM Justin Trudeau to make safe, adequate and affordable housing for all in Canada a legislated human right. MARCH for the Right to Housing! We encourage you to widely share, print and distribute our submission and/or summary. We welcome everyone to use them in your own efforts to call for an adequate National Housing Strategy that centers housing as a human right! We also feel that this consultation process has been inadequate so far (details can be found in our full submission). It should not be a one-time consultation that wraps up on November 22nd, 2016 with a summary report and an announcement. The federal government needs to make a commitment to meaningfully engage and involve those with lived experience of precarious housing, housing inadequacy or homelessness, and those who work with vulnerable tenants and homeless people. This must happen throughout all stages of development, implementation and evaluation of the National Housing Strategy. Tell your MP what you think – find your local MP here. Send your feedback by October 21st to the “Let’s Talk Housing” consultation here.